Accredited by the Association of Zoos and Aquariums (AZA), the Chattanooga Zoo is among the Scenic City's most popular attractions. Nearly 250,000 people visited the zoo in 2016, setting an all-time attendance record. 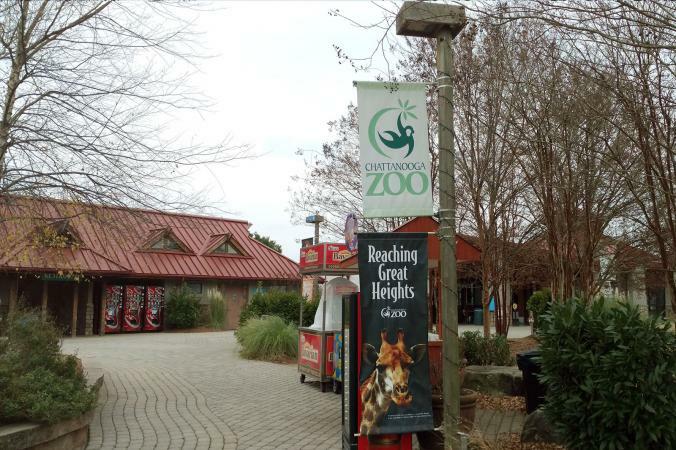 Be sure to visit this "really nice, small zoo" the next time you visit Chattanooga, Tennessee. At just 14.5 acres, the Chattanooga Zoo is small as far as zoos go, but the zoo makes very good use of its limited space. The facility is very-well laid out and maintained, and the exhibit areas are beautiful. In November 2017, the zoo opened its new tamarin exhibit that features both indoor and outdoor areas. Several types of tamarins live in the exhibit, including cotton top, pied, golden lion, and emperor. You can keep up with the tamarins via live cam. The exhibit is also home to macaws and Geoffroy's marmosets, and plans are underway to bring in additional species as well. 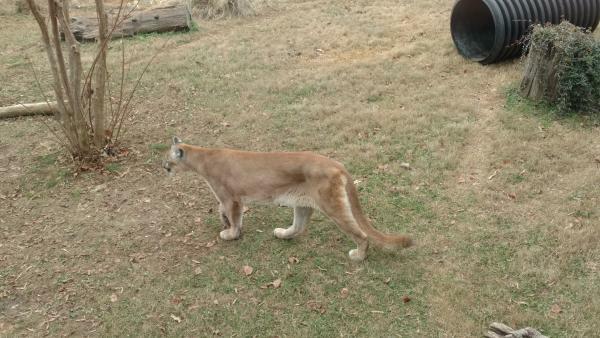 You'll also have an opportunity to see two cougar siblings here. They came to the zoo in 2013 when they were five months old after being rescued from a difficult situation in Montana. The orphaned brother and sister were found starving by local residents, who took them to Montana's Fish, Wildlife and Park Services. Shortly after their discovery, they were relocated to the Chattanooga Zoo, where they have thrived. You can see several chimpanzees at play in the Gombe Forest area of the zoo. They were donated to the zoo in 2015 via Emory University's Yerkes National Primate Research Center in Atlanta. According to a Nooga.com article, "The chimps' donation is part of the species survival plan, which is dedicated to the preservation of species that are endangered." Two red pandas that were born at the zoo in 2016 can be viewed in the Himalayan Passage section. These aren't the first red pandas to call the Chattanooga Zoo home - the zoo has featured this species since 1998. However, they are the first ones actually born at this location. According to ZooBorns.com, they were "hand-reared by keepers after their mother died unexpectedly" shortly after their birth. The zoo's Himalayan Passage is also where you'll have an opportunity to see snow leopards. Along with numerous other zoos throughout the world, the Chattanooga Zoo partners with the Snow Leopard Trust to help "protect endangered snow leopards." These strikingly beautiful creatures are highly endangered, with only between 3,500 and 7,000 living in the wild and approximately 600 and 700 in zoos. Even if you can't go to the zoo, you can catch a glimpse of them via the facility's live snow leopard cam video feed. 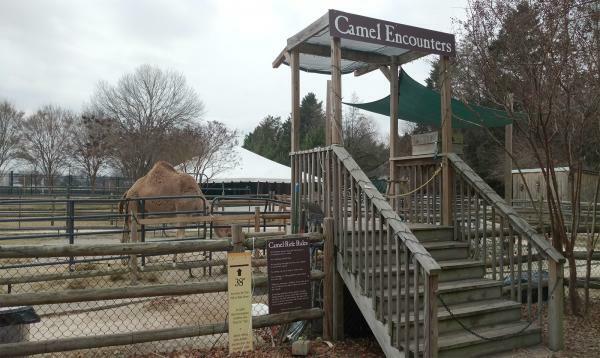 When you first enter the zoo, the camel exhibit is probably one of the first that you'll notice. It's more than just an exhibit, as adventurous visitors who go to the park on the weekends can actually choose to ride on one of the camels. A $5 fee per person fee applies for camel rides (in addition to admission). Riders must be at least 38-inches tall. Of course, these are only a few of the many wonderful animal exhibits you'll have an opportunity to see when you visit this great zoo. As a matter of fact, more than 900 animals representing over 150 species live at the zoo. As this is a small zoo, you won't see the largest animals (such as elephants or rhinos) here, but you definitely won't leave feeling disappointed by the variety of wildlife represented. On any given day, you can see spider monkeys, llamas, goats, jaguars, capybara, tarantulas, snakes, and many others. Some of the animals are in outdoor exhibits, some are in indoor exhibits, and some are in combination exhibits. 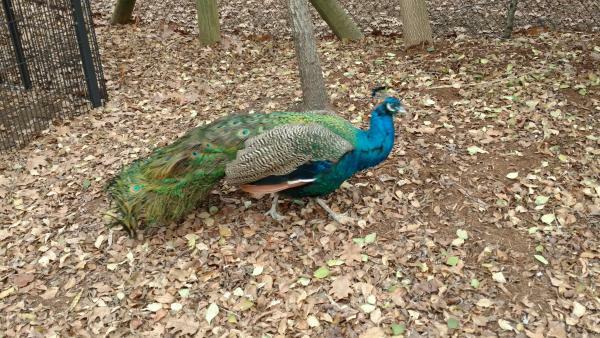 A few animals (chickens and peacocks) even wander free throughout the grounds, so you might find yourself strolling alongside one of these feathered zoo residents. 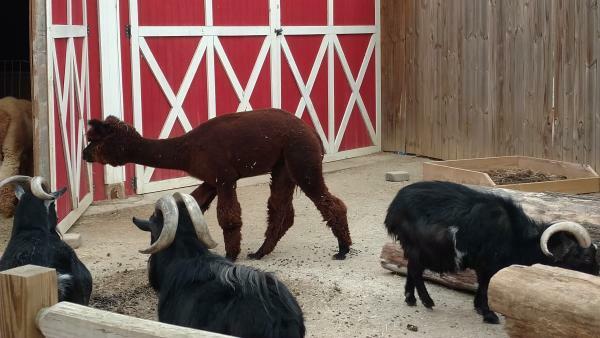 While the animals are the highlight of any zoo trip, there are other fun activities you can enjoy here. The Zoo Choo train was added in 2014. Weather permitting, visitors can enjoy an approximately five-minute ride around the zoo. It's a great way to catch a quick glimpse of the layout before strolling through at a more leisurely pace. Rides are $3 per person. The zoo is actually part of a larger park (Warner Park), which is home to a carousel featuring endangered species (rather than the horses that would typically be found on this type of ride). Zoo admission is not required to enjoy the carousel. Instead, you can purchase carousel tickets for $1 per ride or a full-day pass for $5. It is open daily from 8 a.m. until 6 p.m.
Boo in the Zoo: This annual Halloween event provides a safe trick-or-treat option complete with candy, as well as other fun activities including crafts, a costume contest, and (of course!) an opportunity to tour the zoo. Holiday Lights: Each year, the zoo is outfitted in holiday lights and open during evening hours for the three weekends prior to Christmas Day. Not only do you get to see the lights and view the animals during the holiday season, you can also get your photo taken with Santa. Additional events are announced throughout the year. Admission is quite affordable. Adult admission is $9.95, and it costs $6.95 for kids between the ages of two and 12. Children under the age of two get in for free. Senior citizens (age 65 and up) pay $7.95. You can upgrade your admission to include your choice of a variety of behind-the-scenes wild encounters. Prices range from $65 to $205 per person. Some wild encounters are open to visitors age seven and up, while others are limited to visitors age ten and older. All involve special opportunities to interact with animals safely, as well as learn more about them from zookeepers. Due to its strong emphasis on education, the zoo offers low-cost field trips to school groups (public, private, and home school groups as well as HeadStart programs). Special field trip rates of $2 to $3 per student and $7 per chaperone are available to qualifying school groups with 10 or more participants during the school year. Schools may also apply for grant funding to offset field trip costs. Additionally, in 2017 the zoo introduced the Kits and Cubs Program, a fee-based learning experienced for youngsters between the ages of two and five. Multiple sessions are offered throughout the year, with each one focused on a specific theme. Participating youngsters will enjoy a variety of activities, including story time, crafts, and an opportunity to enjoy close-up animal encounter experiences. If your travel plans include Tennessee's Scenic City, make plans to spend a morning or afternoon at the zoo - or an evening, if you're lucky enough to be in town during one of the special after-hours events. No matter when you go, be sure to take your camera so you can capture photos of the wonderful animals that you have an opportunity to see here!